Our company name is our original word. This is the cross between the “Global” and the “local”. GLOCAL CORP., our mission is information transmitting regarding a variety of Made in Japan’s products from Shikokuchuo-city, where is one of provincial cities in Ehime prefecture toward the world of global scale. The provincial cities have a lot of great products which has not been known yet. We introduce and export those great products to overseas, and also would like to be the bridge that cross between the provincial cities and the world. In addition, our Shikokuchuo-city is the best city of “Paper” in Japan. In the manufacturing process of paper manufacture industry and paper processing industry, a great variety of industrial chemicals and various material are used due to giving strength, luster, colors, textures on paper, and giving paper secondary products various functions and added value. We import these chemicals and material directly from the foreign countries as well as inside Japan to contribute to the papermaker or the paper processing company in here as one of our tasks. We are aiming for the region-based company and expand the present business globally, as if “Glocal” company. Thank you very much for your support, not to change of all of you heartily in future. Born in Kawanoe City (Current Shikokuchuo-City), Ehime Prefecture. Graduated from Aoyama Gakuin University, School of Business, Department of Business Administration. Completed Graduate Programs (MBA Programs) in St. John’s University. Joined Tomen Corporation (Current Toyota Tsusho Corporation). Worked at Osaka Non-Ferrous Metal Dept., Precious Metal Dept., and Singapore Branch. Joined Inokawa Shouten Co., Ltd. Worked at Operations Dept. and Business Dept. Joined Taka Shoji Co., Ltd. Appointed to Board of Director governing import and export business. [Leading to the current] Established Glocal Corp. and became Representative Director. 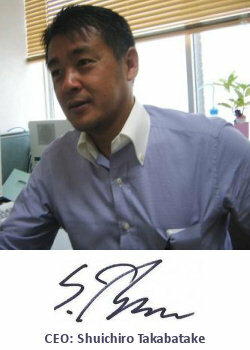 [Leading to the current] Joined Sanwa Co., Ltd. and appointed to Board of Director as well.